17 Etching proofs: Eve and the Volcano, Giant Wave,grommets in place. Location; Neville Gallery, 5 Cliff Road. 19 Icons on the strips: drawings of flowers, iris, tulips,colored pen markers, watercolor, black pens. 20 Icons on the strips, drawing flowers on rainbow strips,colored pen markers, watercolor, black pens. 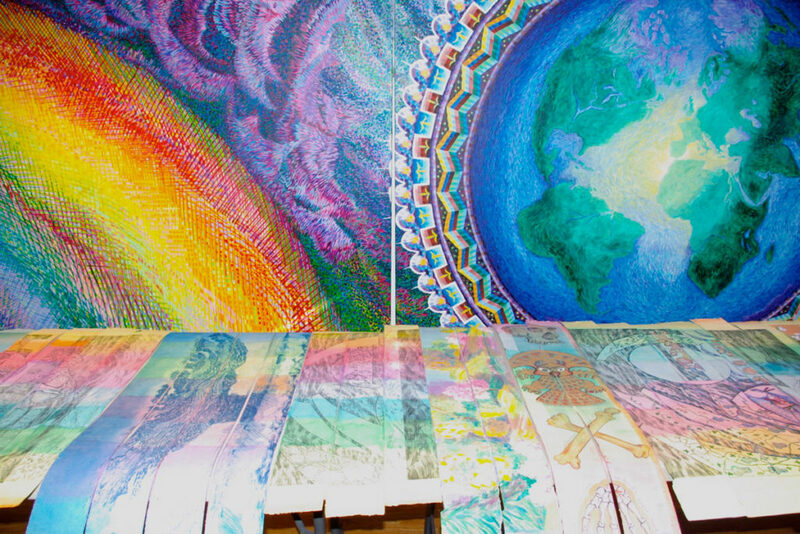 21 Icons on the strips, DNA Strand, Mollusks,black markers on rainbow strips. 22 Icons on the strips, "Copepod," "Plankton," "Streptococcus," "Mollusks,"black markers and pens. 23 Icons on the strips, Snowy Owl, Puffins, Osprey,colored ink pen, white paint. 24 Icons on the strips, Moths,colored pens, white paint, markers. 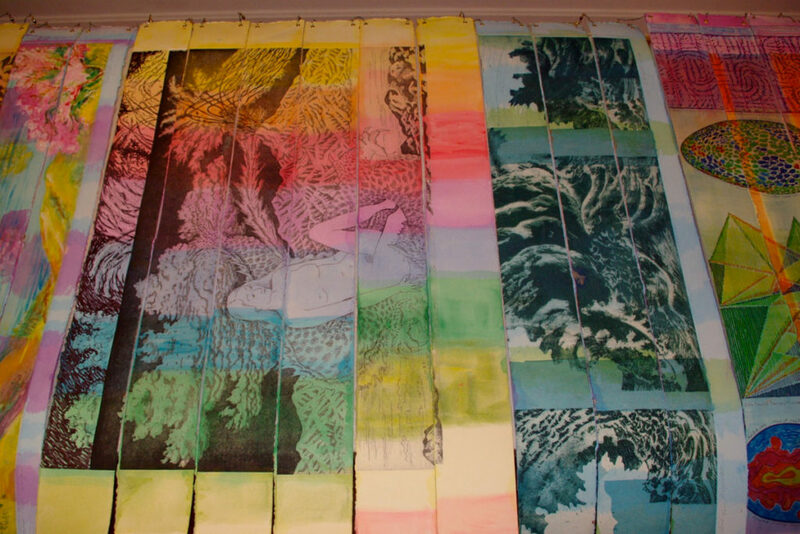 25 Icons on the strips, Birds, Cope Pods, Giant Wave, Birth of Venus,etching prints tinted and painted. 26 Icons on the strips, Fish, Star Fish, Birds,colored pens, markers, acrylic paint. 27 Icons on the strips, Neanderthal Skull, Death Owl from Moche, Peru, colored pens, markers, acrylic paint. 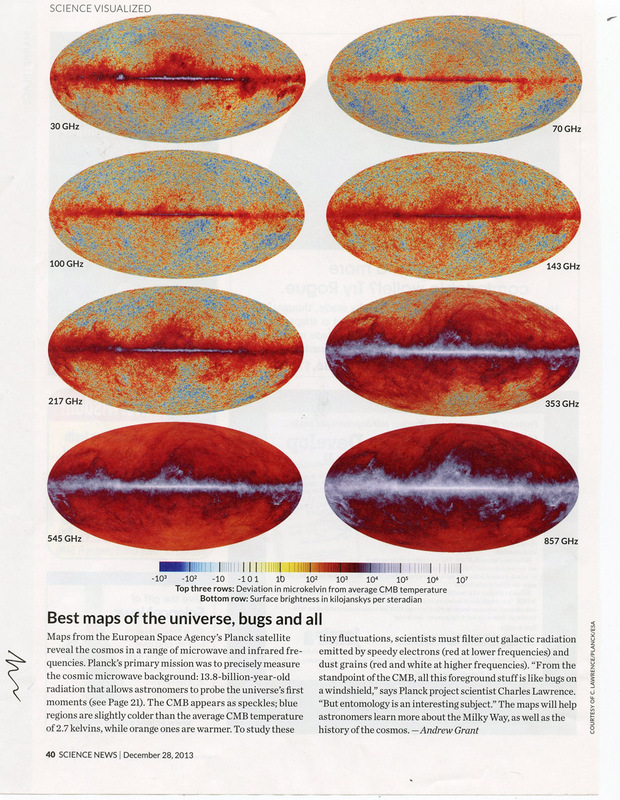 28 Inspiration for drawings: Map of the Universe,photograph from "Science News," Dec. 2013. 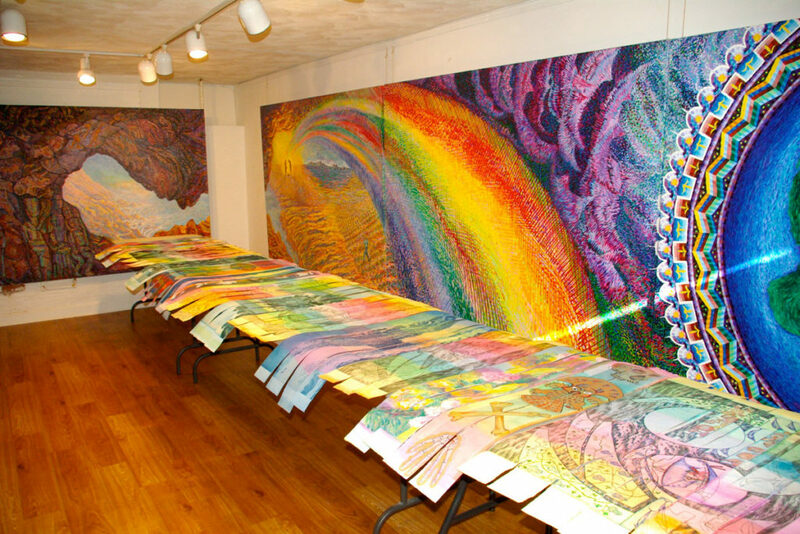 29 Icons for the strips, Map of the Universe, Map of the Background Radiation, Milky Way,colored pens, markers, acrylic paint. 30 Neville Gallery, Caves to Cosmos: Rainbow, and Earth.Rainbow strips drying on tables. 31 Inspiration: Ripples Detected in the Universe, basis for Icon drawings"New York Times," "Science Times," photograph. 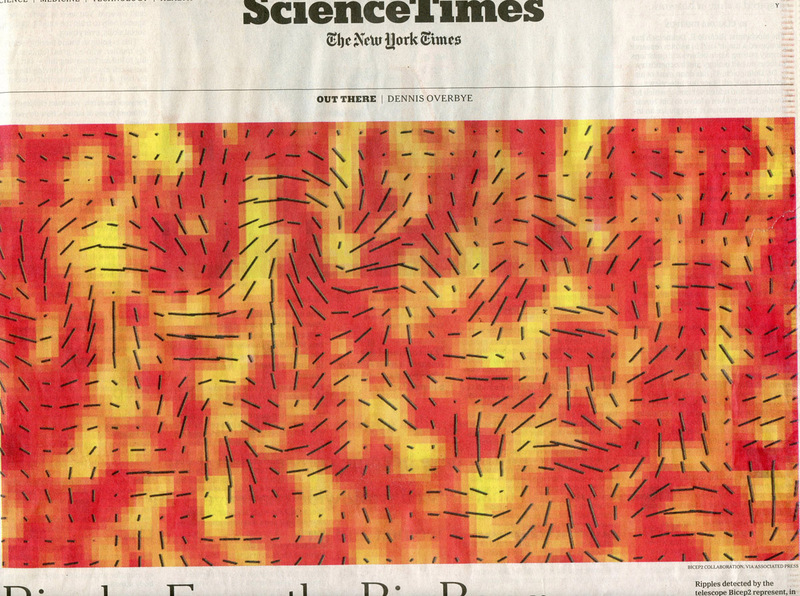 32 Icon for the strips, Inflation from Gravitational Waves of Big Bang, diagram,colored pens, markers.